At The Brod Firm, we’ve found that people often make quick judgments based on a person’s choice of hobby or choice of travelling vehicle. Motorcycle riders are a prime example, with many assuming they are rough-hewn, “scary” individuals. Another example: Skateboarders. 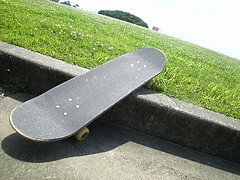 While some do take unnecessary risks, others enjoy the hobby and make every effort to skate smart. Too frequently, these individuals are put at risk by negligent drivers. When a skateboard accident stems from a driver’s negligent or dangerous decisions, our Northern California skateboard accident lawyer is here to help. This week, CBS’s San Francisco Bay affiliate reported on a skateboard-vs-car collision that left a teenage boy seriously injured. The 15 year old was riding near Lake Elizabeth in Fremont on Monday afternoon. At approximately 4:50 PM, he attempted to cross Paseo Padre Parkway at Baylis Street when he was hit by a Toyota sedan. The teen, who was taken to an area trauma center, suffered major injuries that thankfully were not deemed life threatening. The Toyota’s driver remained at the scene and cooperated with authorities. Pasedo Padre Parkway remained closed until around 9:30 P.M. Authorities are continuing to investigate the cause of the collision. Skaters for Public Skateparks, a non-profit group that advocates for safe and accessible skateparks, publishes an annual list of individuals who lost their lives while skateboarding in the United States. Published in February 2014, the 2013 Skateboard Fatalities page notes 21 deaths, 19 of which occurred on public streets (the other two occurred on a golf course and a private parking lot). Two were listed as hit-and-run victims and the eldest victim (age 50) was hit by a police cruiser while riding for transportation. Notably, the 2013 fatality figures marked a significant decline from the 2012 report which memorialized 30 skateboarding fatalities (including 2 deaths from accidents that had occurred the prior year), all of which occurred on a roadway and 24 of which were described as being struck by a vehicle. The 2012 figures also marked a decline from the prior year which saw 42 deaths. Discussing the list of losses, the group notes that the leading cause of death for riders is “bodily blunt force trauma” due to a collision with a vehicle, in one case a vehicle as small as a motorcycle. Fourteen of the deaths occurred in California. The deceased in 2012 included victims ranging from an 8 year old who rolled out of his driveway and onto the street to a 42 year old man described as a veteran skateboarder and skateboarding advocate who was hit by a vehicle while riding his skateboard to his parked car. California law typically requires skateboarders to ride on sidewalks and follow the rules applicable to pedestrians (see CHP’s Safe Skateboarding fact sheet). That said, simply being on the street does not make a skateboarder liable for any accident that may occur. If a car hits a skateboarder because the driver was not paying attention, the driver will generally be liable for the resulting injuries or death. Do not be intimidated by a defense attorney or insurance company. If a negligent or reckless driver caused a skateboarding crash that left you injured or claimed a loved one’s life, call our Northern California skateboard injury lawyer in San Francisco, Oakland, Santa Rosa, or San Jose. A consultation is always free and most injury cases are handled on a contingency fee basis so you only pay us if you get money.